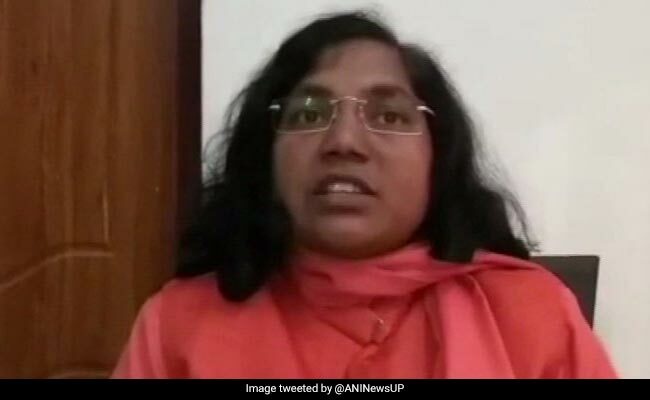 While the scheduled caste and tribes are fighting for their rights and employment, the Uttar Pradesh government is spending crores in the name of Kumbh and temples, said Savitri Bai Phule, former BJP lawmaker. Savitri Bai Phule criticised Yogi Adityanath, said he is not capable of running government. Attacking the Uttar Pradesh government on Monday, former Bharatiya Janata Party leader Savitribai Phule said the country will not progress because of Kumbh or temples but by the implementation of the Constitution. "While the scheduled caste and tribes are fighting for their rights and employment, the Uttar Pradesh government is spending crores in the name of Kumbh and temples," said Ms Phule. "Can Kumbh or temple feed people of schedule caste, tribes and Muslim community. Government wants to divert people's attention and hence is spending money on Kumbh. Country cannot be governed by a temple or God but by the constitution," she added. Ms Phule criticised Uttar Pradesh Chief Minister Yogi Adityanath on law and order issue and said, "Law and order in state of Uttar Pradesh is completely in shambles. Uttar Pradesh Chief Minister is no more capable of governing the state, proof of which can be seen through different news reports." On December 6, Ms Phule had resigned from the BJP accusing it of dividing the society and not doing enough on the issue of reservation. Ms Phule was elected from the Baharaich Lok Sabha constituency in 2014 elections and won for the first time from this reserved seat.